Athleisure was once again a major topic within the trendy lifestyle of 2018 and it will only grow and continue to do so during 2019. Which is something that we are incredible excited about at Moonchild! Athleisure is the trend of wearing your active wear outside of the gym or studio. It's the act of using your active wear for more than just exercise. Athletic and active wear has and is moving in a direction from pure functionality to stylish and comfortable as well. Athleisure is a huge trend that can be seen in the streets of LA and NYC, and continues to be seen across the country in the United States. While more and more adopters are showing up around Europe, it is still a small niche. This is something that we see is changing in the future. We love the idea of being able to use your yoga wear for more than just movement. We want them to be versatile and allow you to mix and match and enjoy them from studio to streets. For Moonchild, we bring this into focus when designing our products. We want to create beautiful active wear that is multi-functional, as well as stylish. If you Google athleisure you will get lots of examples, but you can also look from icons such as Haliey Baldwin, Gigi Hadid, Stephanie Claire Smith and many more. We are hoping that you will help us embrace the use of your Moonchild for much more than yoga. Specifically, we want to ask you to help us share the idea of athleisure and how you use your Moonchild styles for much more than your favorite practice sessions. The best and only way this can happen is with your help! We hope that you will join us in a fun little project to spread the word about athleisure wear, by sharing your athleisure moments with us and the Moonchild community. Whether you're on your way to or home from the studio or simply enjoying a day at home in your active wear or out and about with friends or family, snap a quick picture and sharing with us, your friends and followers. 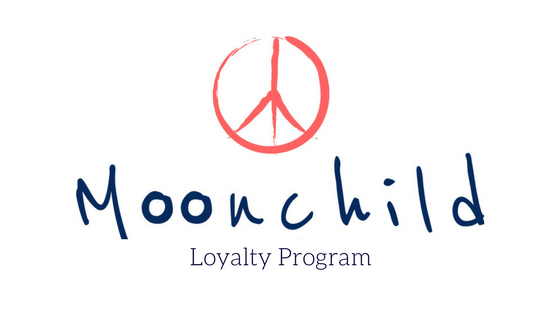 By using the hashtag #moonchild and #moonchildathleisure we are able to see it and share it with our community! You can also check out our Pinterest Board "Athleisure" at @moonchildyogawear to get lots of new inspiration every week for Athleisure looks from around the world!